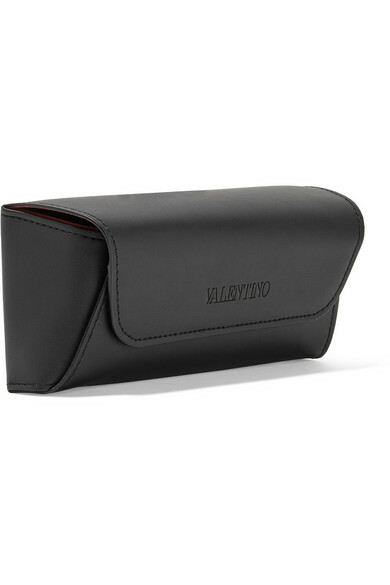 Valentino Garavani's optical glasses have been made in Italy from black and transparent acetate with a slight cat-eye shape that flatters round faces. 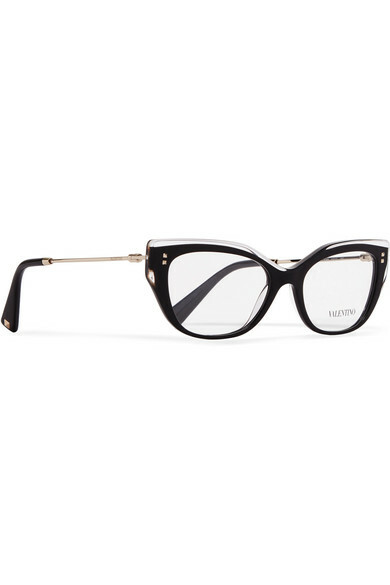 The solid shade is tempered with delicate but sturdy gold-tone arms. 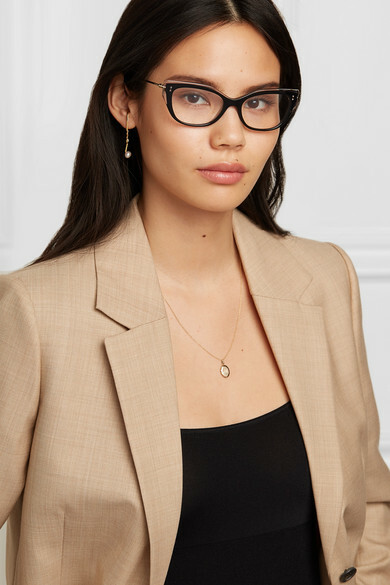 Shown here with: Victoria Beckham Blazer, Wwake Necklace, Paola Vilas Earrings.